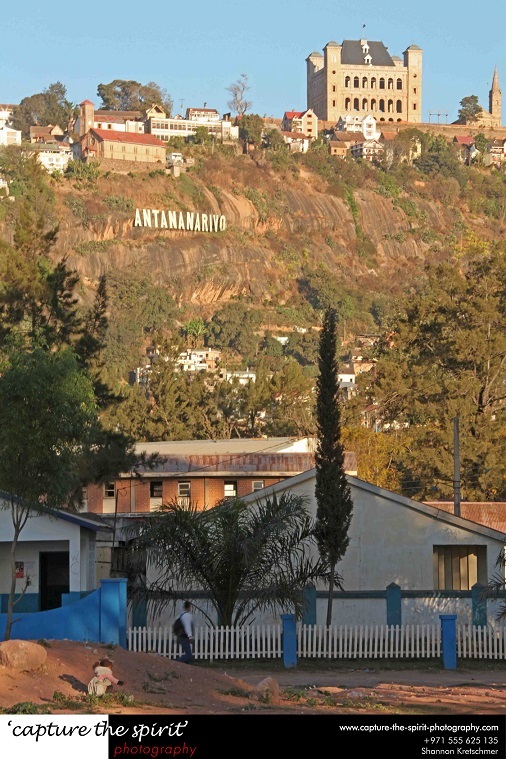 Antananarivo sign at the heart of the city! “Have you got any gift for me?” asked the immigration officer at Antananarivo International Airport Arrivals. My Australian photographer friend swiftly handed his business card to the officer. “If you ever come to Dubai contact us”.Unimpressed, he let my friend go and asked me to speak to his colleague seated next to him. “You are from India, Paisa nathi?” he spoke in Gujarati. (‘Paisa Nathi’ means ‘No money’). “I don’t speak Gujarati and Paisa nathi”, I replied. To my surprise, the immigration officials stamped my passport and let me into their country. We collected our baggage from the carousal and headed towards the customs clearance gate. “I got you my Love from India” I replied with a big smile. When he realised that I was a true Indian and will not loosen my wallet; he let me go. Interestingly, my Caucasian friend escaped being harassed. I was confused whether to be impressed that my fellow compatriots have made their mark in this African nation or be shocked by the level of rampant corruption. No sooner had we stepped out of the exit than the taxi drivers swarmed us. Our eyes were searching for the pre-arranged pick-up. It was 2:00 a.m. and there was no sign of him. As we exchanged our money at the airport, we realized that we were being watched. A lanky, bearded man, probably in his thirties was standing just a few metres from us. He solicited money from us. “Sorry Monsieur”, so saying, we brushed past him and went up to a taxi at the taxi stand in front of Airport Arrivals. We walked away, ignoring our welcome committee and our bearded friend, to sit in front of the Arrivals gate. A short moustached man approached us. I started bargaining and we agreed at 5,000 Ariary. No sooner had I said yes. He grabbed my stroller bag and started running towards the crowded car park in front of the airport arrivals. Afraid that I will lose my bag, I ran behind him and my friend scampered after me. He stopped next to a car, placed my bag in the boot. There was a man already sitting next to the driver’s seat. All eyes were on us. The word ‘xenophobia’ does not come close to describe my feelings. “mm…Monsieur…” he reluctantly took out my bag. By this time, my friend had caught up with us. “This is not a taxi, show me your id!” my friend demanded. He took out an ancient broken taxi sign with wires hanging from it, probably freshly bought from an antique shop. We grabbed our belongings and stormed off. We headed straight to the taxi driver we had spoken to before. My friend kept on making comments of familiarity throughout the journey to give an impression to the taxi driver that we were not new. On reaching the Manoir Rouge, we handed the taxi driver a 10,000 note expecting a change of 80,000. “What do you mean more, we gave you a 100,000 and now you want more”, I retorted. “Monsier…not enough” with his fingers he signalled for another note. “Give me back my money!” so saying I dived into his trouser pocket… “We’ll pay you the exact amount…just wait!” We entered the hotel gate to get some change. Poor chap ! He was a bit shocked to see an outsider that aggressive towards him on his home turf. As we followed the pathway to the hotel reception, my friend started smiling and said he will be right back. He had realized that the number of zeroes on the currency note had confused us. I still feel ashamed of my behaviour. Madagascar gave us the welcome of our lifetimes…Coming days will re-kindle my love for the country, but as of then, I was trying to be content with the hot water shower and a warm bed. This entry was posted in Travel and tagged Airport, Antananarivo, corruption, customs, immigration, Madagascar, Tana, taxi, www.capture-the-spirit-photography.com/. Bookmark the permalink. Adventure! Not easy to handle the corrupts&cheats.Traveler need to be bit bold and though.Next? A traveler need to be bit careful. Well written. Keep writing. Ofcourse…but following one’s instinct gets much better travel experiences! Cool Article. Waiting 4 more. Thanks a lot…feel free to subscribe, so as not to miss any future posts!! Tonga soa! Welcome to Madagascar. I’ve been through the airport in the day and late at night. It’s a little better in the day. I am an expat living in Tamatave. Look me up if you are coming through. You can use the Contact Us form through my blog, http://www.wanderabout.org, to reach me. Hi Brett,Thanks for taking your time.I totally agree with you,the airport is much different in day time. Wow you stay in Tamatave…I wonder how it is like to be an expat there. We were in Madagascar for just a short 5 days and did not really experience much of the country. I am based in Dubai and would love to visit Madagascar in the near future before I leave UAE. Will surely give you a shout you when i am in town.Thanks for the offer…really kind of you. P.S – love your blog. Hope it works out for you to come to Madagascar again. I enjoy sharing about my home away from home here.